This section lists all of the existing settings. 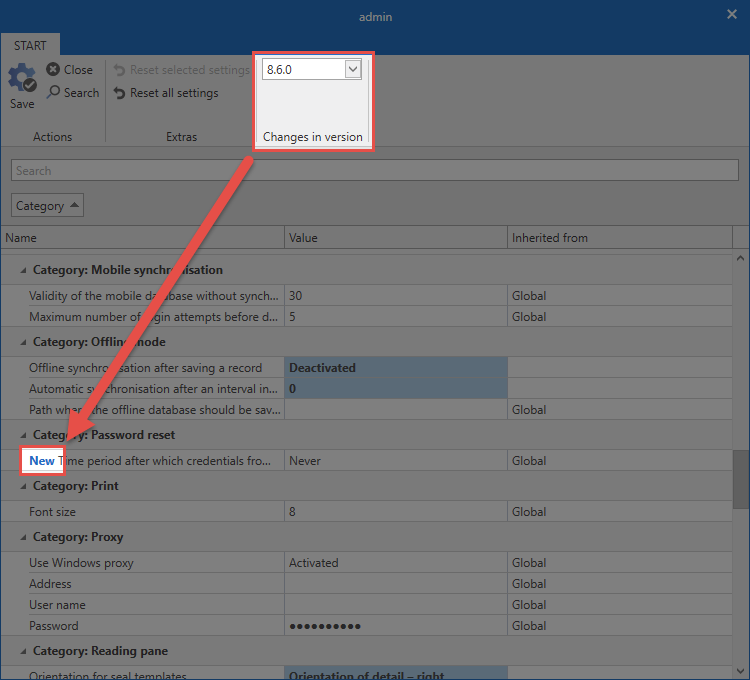 If a setting is explained in more detail in another section, you can navigate directly to this section by clicking on the link in the Section column. The settings are grouped according to categories to provide a better overview. *There is a version selection box in the settings. The options that were newly added in the selected version are correspondingly marked in the list. This makes it easier for administrators to correctly configure new options before they release the update for all employees.